You’re at the circus, Disneyland, the zoo, or the fair. Suddenly your child spots his or her latest “must have” item. The finger points, the hopeful look appears in the eyes, and the words “I want it!” are uttered. What happens next can be an opportunity or a nightmare depending on how it plays out. I suggest that when a child waaaants something, ask them if they want to buy it with their allowance (they do have an allowance, right?). If they don’t want to spend their money on it, then they have to trade something for it. Ask them which item at home will they part with in exchange for the shiny new thing. Obviously, the thing they have to give away needs to be something fairly equitable. No giving away furniture, sensible clothing, etc.—something else that was a shiny new impulse purchase is best. If the new thing is a big-ticket item, the thing they give up needs to be important to the child, too. This helps them learn to value what they have and also understand that everything has a cost. My parents also had several other good tricks up their sleeves. For example, depending on the venue, sometimes we would go shopping at a discount store before some events and buy useful things like binoculars, hats (for sunny places), or non-melting pocket-sized snacks. Then we would take those with us. We could skip right past most of the expensive merchandise for sale since we already had everything we needed. Instead of spur-of-the-moment snacks (popcorn, churros, sodas in plastic cups), we would plan our meals along with our activities. That helped us avoid hunger pangs and cravings. We usually included at least one snack item “splurge” (cotton candy or a funnel cake were popular since we couldn’t get those at home). Instead of wasting money on disposable items (silly hats you never wear anywhere else, balloons, etc. ), my parents would suggest that I purchase something collectible like a postcard, map, button, figurine, or something functional like a ceramic mug, t-shirt, or sweatshirt. I ended up with several very nice collections by the time I was in my teens, and the clothing I bought was not too zany to wear to school or to play. I also collected sugar packages—many restaurants have custom imprinted ones in the dispensers on the table. Back home, I cut the packages open carefully with scissors, poured out the sugar into the sugar canister, attached a stamp hinge (used in stamp collecting), and attached the package to a scrapbook page. It made a neat memento and was free with the meal. When I got older, I switched to collecting stamps and business cards instead. While I was young, my parents helped me with arranging and displaying my collections. It was quality family time, and the experience became far more valuable than the items cost. The great thing about any type of collectible is that you can look back at an item years later and remember the highlights of the entire trip. With candy or other disposables, there’s nothing left. My parents usually had me wait to buy something until we were leaving. First, it taught me that patience leads to rewards (something you need to comprehend later in life when investing your money). Second, I often found other things along the way that I liked even better than the first thing I saw. If I’d spent my (or my parents’) money on the first thing I wanted, I’d have been sorry for it later. I remember sometimes at the end of the day at Disneyland, we would have to rush from one corner of the park to another just to get back to the gift shop that had the item I wanted. The frantic rush to score the item made it all the more cherished in the long run. I never tossed aside my new acquisition the next day, because it had become something special to me. It was a carefully considered decision, and I had earned it while working together with my parents. 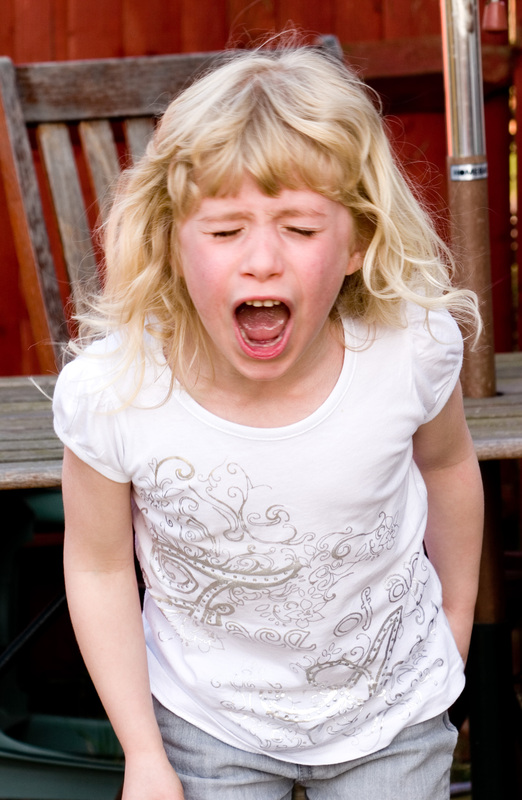 This blog entry is a response to Ellen S’ post on Momlogic titled, “Mommy, I Waaaaaaant It!“. Great posting, interesting tips. I wonder how your children will look back at their experience with you. You sound like a good parent!